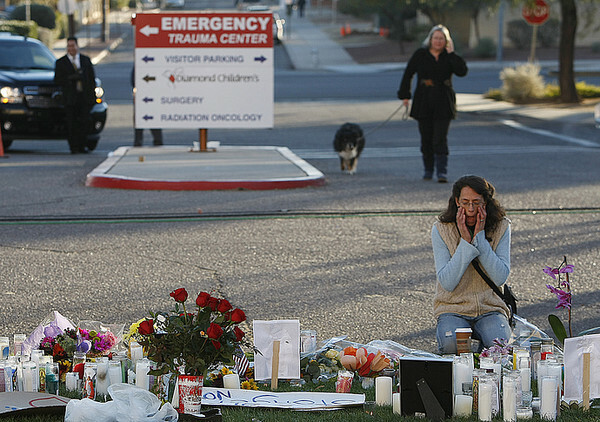 What to say about the shootings in Tuscon that you haven’t already heard or felt? 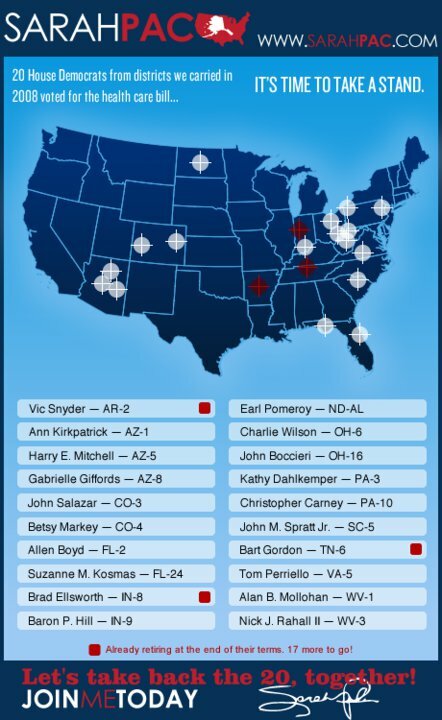 As of the time of this posting, Sarah Palin’s Facebook page still shows her infamous crosshairs map, if you can believe it. It’s time you took that thing down, girl. Or are you and your media team just too damn stupid (and uncaring) to figure that out. I’ve been waiting for the violence to erupt since President Obama got elected. Here we are. We live in two countries, two separate, distinct realities for some time now, have you noticed? Beyond the obvious blue and red state labels, these realities also often exist side-by-side, within the same workplace, the same families even. There is a huge divide in this country, a chasm that’s growing wider by the day. Correct me if I’m wrong, but why is it that liberals never go on shooting rampages? Why is it that we don’t make “hit lists” and extort people to “RELOAD” and “take people out” who don’t agree with us? Why aren’t more of us filled with hatred over the ignorance that fills our television and computer screens? Should we be? What purpose would it serve? When will enough of us say “Enough!”? Extremists on both sides have declared a war on constructive discourse in this country. Anonymous, vituperative comments rule the Internet and the radio airwaves. The largest moderate/liberal “answer” to the Fox News conglomerate, the Stewart/Colbert Rally to Restore Sanity, didn’t bother to ask those who attended to vote on Nov. 2nd. My friend Catherine, who was there, pointed out to me that Tony Bennett was the only one to remind the audience to do so. Where are we headed? Only time will tell, but for now, it doesn’t look good.